Apple’s Mac laptops and desktops have been making significant inroads into enterprises. What used to be a hobbyist’s computer has now turned into one of the most popular devices on the planet. 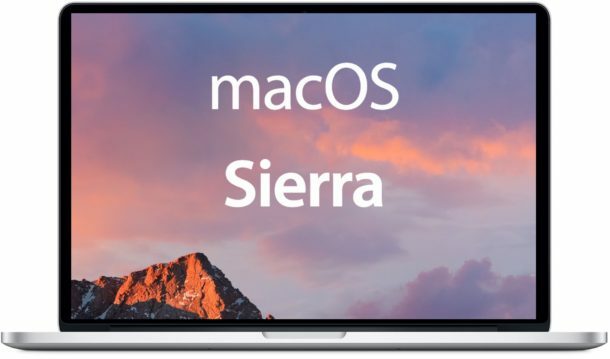 macOS has become one of the leading operating systems in small and large companies alike. As a result, the challenge for IT organizations is in how to secure and manage those devices. A new generation of technology called Directory-as-a-Service® is leading the way in this respect. The solution is a part of the Identity-as-a-Service category with a macOS device management capability. The world was far easier for IT admins a decade and a half ago. Their environments were largely Microsoft Windows based and hosted on-prem. Consequently, the IT management tools were also Windows focused. The leading user and device management platform at the time was Microsoft Active Directory. Microsoft understood how IT admins wanted to manage their networks. They catered to those needs by combining the directory service with device management. But as the world moved away from Windows being the most popular device and application platform, the IT toolset broke down. Active Directory wasn’t the right solution for a heterogeneous environment. The IT landscape was also moving to the cloud. This factor also dictated that a cloud identity and device management platform was needed. Identity-as-a-Service is the cloud-based identity and device management platform that IT admins have been searching for. 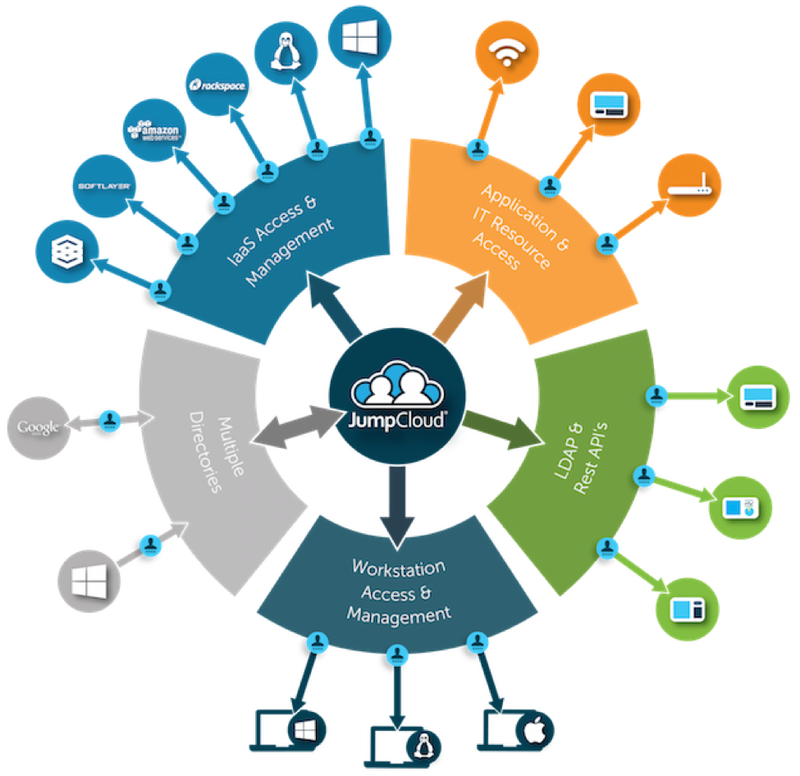 While IDaaS serves as the core user management platform, it is also able to manage devices. Since the cloud directory service is independent and cross-platform, macOS and Linux devices are treated as first-class citizens with full user and device management capabilities. An IT admin can provision, deprovision, and modify user access rights to the macOS device. In addition, policies and commands can be remotely executed on the macOS platform. These policies can include ensuring that full disk encryption is enabled, screen saver timeout is set, and password policies are followed. Since the unified cloud directory is open, IT admins can write scripts or execute commands remotely on an ad hoc or scheduled basis on the macOS fleet of devices. macOS devices have largely functioned separately from the rest of the network. While Windows machines have been easy to manage, Linux machines were often relegated to the data center. Today’s mixed-platform environments necessitate device management tools that can manage all platforms, including macOS. 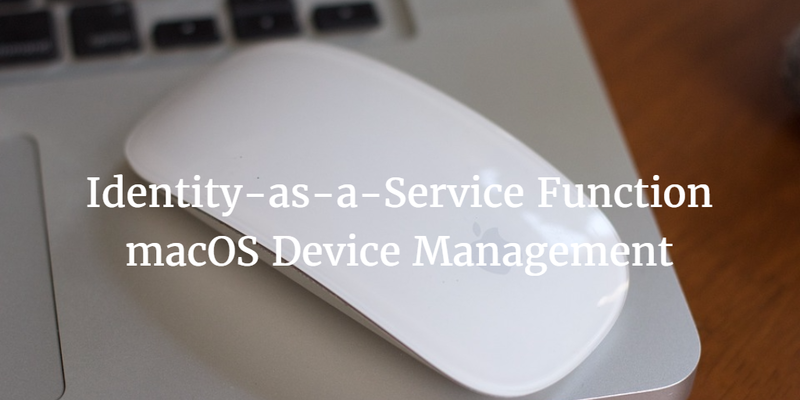 If you would like to learn more about how the Identity-as-a-Service function for macOS device management works, drop us a note. You may also sign up for a free account and start managing your macOS fleet. Your first 10 users are free forever. Finally, check out our JumpStart program if you need to try our Directory-as-a-Service platform across your entire organization.